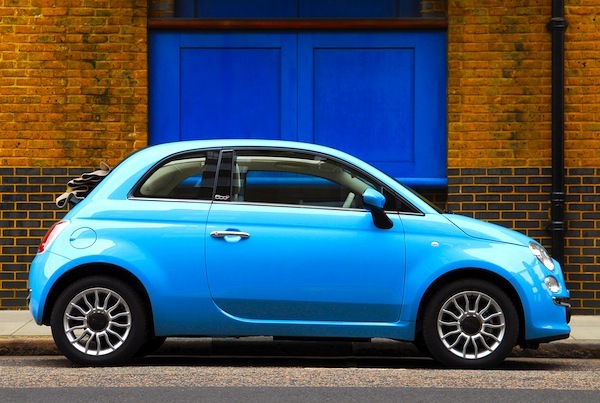 The Fiat 500 fares even better in England than in the UK overall. Thanks to SMMT, England in the UK is now a monthly update on BSCB. Keep in mind these figures are already included in the UK monthly updates, this is just a zoom in. Given England accounts for 85% of overall UK sales, the English models ranking is extremely similar to the UK one and you have to look at it very carefully to notice the differences. New car sales in England are up 13% year-on-year in July to 138,146 registrations, bringing the year-to-date total to 1,120,356 units, up 10% on 2012. There is only one difference with the overall UK in the July Top 10: the Fiat 500 is up one spot to #9 thanks to 2,535 sales and 1.8%, meaning the Nissan Juke is ‘only’ #10 in England vs. #9 in the UK overall. In the year-to-date ranking, the only change is the BMW 3 Series ranking #7 above the VW Polo, reversing spots with the UK ranking. Full July 2013 Top 10 Ranking Table below.